“The Qatsi Trilogy” is more than a mere trio of documentaries. Each of the films feels more like a visual poem than a traditional piece of film work. Working with compositions by Philip Glass, Reggio uses time-lapse footage that often contrasts the natural world versus the man-made one. These are works of music and visual compositions that try to move the viewer to think or even act without words. And Criterion has gone DEEP into their history to offer numerous special features that enhance the themes and stories behind how and why these movies got made. It’s a fantastic set of three movie that I had pretty much forgotten and I’m happy Criterion remedied their place in my personal collection. 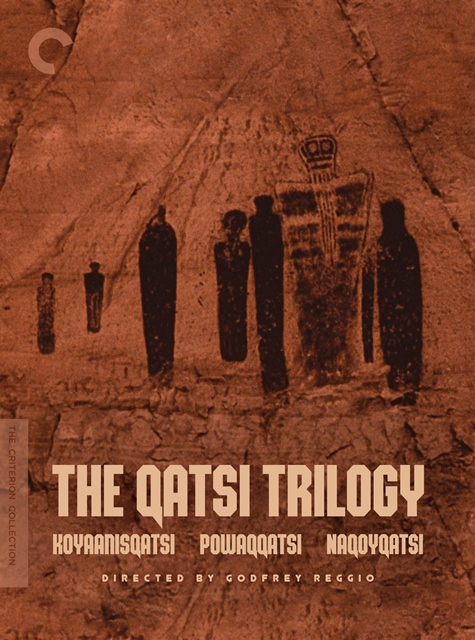 “The Qatsi Trilogy” was released on Criterion Blu-ray and DVD on December 11, 2012.